Background: Pandemic H1N1 infection has been associated with significant morbidity in general population. Immuno compromised transplanted patients are one of at risk groups. Handling of immunosuppressive drugs in such population was not discussed in details in literatures. Patients &Methods: Fifty-two renal transplants recipients (RTR) started oseltamivir upon clinical suspicion. 25/52 of them were proved to suffer from H1N1. Nasopharyngeal swabs were subjected to specific testing for H1N1 by standard methodology using real-time reverse transcriptase polymerase chain reaction (RT-PCR). Of the confirmed cases; 21 patients were admitted and isolated due to pneumonia, bronchitis, gastroenteritis and or shock while the other 4 patients treated on outpatient basis. Results: Twelve cases suffered from respiratory symptoms; six cases suffered from H1N1 pneumonia, while other 6 cases suffered from acute bronchitis. The other 13 admitted patients suffered from gastroenteritis, high fever and or shock. Twenty-three out of 25 RTR showed dramatic response to oseltamivir, high grade fever resolved 1-2 days after initiation of the antiviral drug. Most of patients discharged to home 4-6 days after admission. Conclusion: Early clinical suspicion and starting oseltamivir immediately upon clinical suspicion is to decrease the morbidity and mortality. Doubling the dose, extension of duration of treatment and reduction of immunosuppressive drugs (when indicated) are the keys for successful management of H1N1 infection in RTR. Infections are one of the leading causes of morbidity and mortality among RTR . Pandemic H1N1 infection has been associated with significant morbidity in general population . Influenza A and B are common causes of viral infections each year in transplant recipients, with predictable complications including viral pneumonia, secondary bacterial pneumonia and acute allograft rejection in the setting of weaning of immunosuppression . In April 2009, a novel influenza A (H1N1) virus was initially detected in two children in the United States. Within weeks, this virus was determined to be the cause of outbreaks of disease in Mexico; within two months, infection had spread worldwide, causing the World Health Organization to declare a pandemic on June 11, 2009. In December 15-2009, the first H1N1 infected RTR appeared in our center and unfortunately he died 2 days after invasive mechanical ventilation and this event has triggered our attention to the magnitude of the problem, we initiated a team consisting of 2 physicians in the OPC, 3 physicians in the isolation unit and 1 microbiologist. RTR patients are one of at risk groups to be infected by H1N1 and they have certain characteristics to be considered. No reports from Egypt on H1N1 infection in RTR available yet therefore, we carried out this study to discuss handling of immunosuppressive medications, dosing of oseltamivir, duration of treatment and management of H1N1 pneumonia. We conducted a retrospective study in Mansoura Urology and Nephrology Center that included study of characteristics of H1N1 infection among our RTR patients. Our RTR patients who are living with functioning graft are exclusively followed at our outpatient clinic and all infected RTR are admitted to the center. In two time intervals- the first from December 15-2009 to January 19-2010 and the second from December 2010 to January 2011, 52 RTR started oseltamivir upon clinical suspicion. H1N1 infection is suspected if the RTR developed fever, cough with or without pharyngitis and include exposure to suspected or confirmed case of H1N1 according to WHO definition, also gastrointestinal symptoms like nausea, vomiting, and diarrhea increased the clinical suspicion because novel H1N1 may be associated with GIT symptoms in up to a third of cases. Taking a brief history was targeted to investigate possibility of exposure of RTR to suspected or confirmed case of H1N1 and to exclude other risk factors e.g. diabetes mellitus, pregnancy, pulmonary or cardiac disease while clinical examination included assessment of vital signs at first then examining the conjunctiva, throat and chest examination. 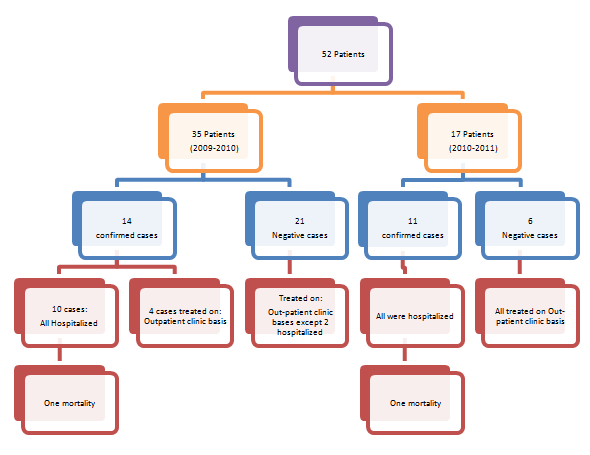 After taking brief history and thorough clinical examination, the suspected cases were classified into simple or complicated cases as in (Figure 1). 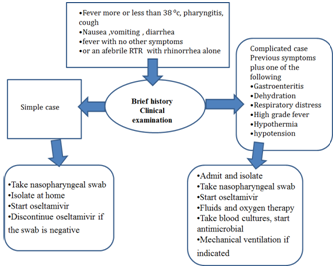 Simple cases were managed on out-patient basis by taking nasopharyngeal swab, starting oseltamivir, isolation at home and discontinuation of oseltamivir if the swab is negative while complicated cases were to be admitted and managed as follows: taking nasopharyngeal swab, started oseltamivir in the isolation unit, fluid resuscitation in dehydrated or shocked RTR, portable CXR, ABG sampling in RTR with tachypnea, oxygen therapy for hypoxic patients and CT chest is done if the CXR is not conclusive in hypoxic patient. Figure 1: Algorithm for clinical approach to management of H1N1 suspected renal transplant recipients. Nasopharyngeal swab: Nasopharyngeal swab with or without an oropharyngeal swab were taken from all suspected patients meanwhile 2 endotracheal aspirates were taken from the intubated patients. All specimens were placed in sterile viral transport media and kept at 4°C for transport to the microbiology laboratory. Real time PCR testing: Nasopharyngeal swabs were subjected to specific testing for H1N1 by standard methodology using real-time reverse transcriptase polymerase chain reaction (RT-PCR) which was carried out using the Roche Light Cycler instrument (Roche, Basel, Switzerland). The assay target the matrix protein 1 gene of influenza A, and either the hemagglutinin or nucleoproteins or nucleoprotein genes of H1N1virus. This method was modified from CDC protocol . Radiological imaging: All suspected patients were suspected to CXR, while 9/27 was subjected to CT imaging. CT was done in patient with clinical evidence of pneumonia and non-conclusive CXR, also CT was ordered in patient with tachypnea, hypoxemia and abnormal chest finding (other than crepitation) while serial CXR was carried out to follow the recovery of H1N1 pneumonia. immunosuppressive medications in H1N1 cases: Most of suspected RTR in our case series were maintained on triple therapy (steroids, CNI and anti-proliferative-AZA or MMF). Anti-proliferative drugs were stopped in RTR with fever more than 38.5C, diarrhea, dehydration, hypotension and pneumonia. AZA or MMF was resumed after recovery of fever, shock, stoppage of diarrhea or recovery of pneumonia. In 5 patients maintained on steroid free regimen-dual therapy (tacrolimus and MMF), we decreased the dose of MMF temporarily to its half. In 2 patients with severe pneumonia and type 1 respiratory failure necessitating oxygen therapy, we stopped immunosuppressive medications temporarily except steroids; one of them suffered from severe ARDS and critical hypoxemia with high respiratory rate (40 cycle/min) and responded very well to oseltamivir and stoppage of immunosuppressive drugs within 48 hours (without rejection) while the other patient was planned to stop all immunosuppressive medications but he died 2 hours after admission and invasive mechanical ventilation. In RTR with diarrhea; beside stoppage of MMF or AZA we replaced oral steroids by i.v hydrocortisone because absorption of oral steroids will be impaired in diarrhea which exposes RTR to rejection in case of stoppage of anti-proliferative drug and impaired absorption of steroids. In the time interval from December 15-2009 to January 24-2011, 52 RTR started oseltamivir upon clinical suspicion. In the time interval (December15-2009 to January19-2010), 35 RTR were suspected to suffer from H1N1. All of them started oseltamivir while awaiting results of H1N1 nasopharyngeal swab testing; only 14 cases were positive for H1N1 after doing real time PCR. Four of them were managed on out-patient basis while ten patients were admitted in the isolation unit, five out of ten isolated patient suffered from pneumonia. Except for one case of mortality, the thirteen cases responded very well to oseltamivir therapy without morbidity or mortality. Eleven months later in December 2010-january 2011, 17 RTR were suspected to suffer from H1N1 while the approved cases to be positive were 11 RTR. All H1N1 positive cases have excellent prognosis except a 38 years old RTR male who was presented very late, he died 2 hours after his admission and invasive mechanical ventilation (Table 1). So the total number of confirmed cases all over the two intervals is 25 out of 52 suspected RTR. Of the confirmed cases; 21 patients were admitted due to high grade fever, tachypnea, dehydration, gastroenteritis or shock. Six cases suffered from H1N1 pneumonia, also 6 admitted cases suffered from acute bronchitis. Nine cases required oxygen therapy and bronchodilators (6 cases of pneumonia and 3 cases of bronchitis). 23 out of 25 RTR showed dramatic response to oseltamivir, high grade fever resolved 1-2 days after initiation of the antiviral drug. Most of patients discharged to home 4-6 days after admission. See Figure 2. Only 2 cases died, one of them due to late initiation of oseltamivir therapy (the first case) while the other patient died due to late presentation to our center. The time interval for incidence of H1N1 infection started from the second half of December till the second half of January and this observation was applied to the consecutive 2 years. The most common co-pathogen was streptococcus species, it occurred in 6 patients (5 RTR have positive sputum while 1 RTR has positive blood culture). Eight out of the 27 RTR cases were diabetic (i.e 30% of positive cases), 2 of them were the dying patients. CMV testing was carried out in some H1N1 infected patients but no cases proved to suffer from CMV. Figure 2: Study cohort & clinical outcome. The time interval after transplantation varied; 8/25 were less than 3 years’ post-transplantation while 8 patients were relatively old transplant (3-10 years’ post-transplantation), 9 patients were old transplant (more than 10 years’ post-transplantation) and again the 2 died patients were old transplant. Suspected RTR who received oseltamivir therapy but the swabs were negative later, showed excellent clinical response including rapid recovery of flu symptoms and disappearance of fever. Influenza A and B are common causes of viral infections each year in transplant recipients, with predictable complications including viral pneumonia, secondary bacterial pneumonia and acute allograft rejection in the setting of weaning of immunosuppression . In April 2009, a novel influenza A (H1N1) virus was initially detected in two children in the United States. Within weeks, this virus was determined to be the cause of outbreaks of disease in Mexico; within two months, infection had spread worldwide, causing the World Health Organization to declare a pandemic on June 11, 2009. In December 15-2009, the first H1N1 infected RTR appeared in our center and unfortunately he died 2 days after invasive mechanical ventilation and this event has triggered our attention to the magnitude of the problem, we formed a team consisting of 2 physicians in the OPC, 3 physicians in the isolation unit, 1 microbiologist. We started oseltamivir 150 mg bi-daily (double the dose in non-immune-compromised patient) because many RCT recommended doubling the dose in immune-compromised and critically ill patients . We doubled the duration of treatment for 10 days because lymphocyte depletion as well as enhanced immune suppression, particularly high doses of steroids, are likely to prolong viral replication  further, viral replication secondary to the novel influenza A/H1N1 is predicted to be prolonged in transplant recipients. Some experts recommend continuing antiviral therapy until viral replication (as documented by PCR or culture) has ceased. However, the optimal duration of therapy for influenza has not been well established in the literatures and many authors think that courses longer than the currently approved 5 days may be needed . In our patients, we have given ten days for confirmed cases without repetition of PCR testing. Some centers compared five days regimen versus 10 days in non-randomized comparison with repetition of PCR and found that a 5-day course did not fare worse compared with 10-day course . Resistance to oseltamivir was prescribed in two immunocompromised patients in August 2009 , however we did not encounter any cases of resistance to oseltamivir in our RTR. Clinical presentations in our patients include; fever (100%), cough (70%), pharyngitis (50%), rhinitis (20%) while diarrhea occurred in 30% of our RTR (Table 2), despite that some authors did not notice diarrhea in their SOT recipients including RTR . Table 2: Clinical Presentations & Frequency of Symptoms. Graft failure occurred in 2 patients; one of them had already high serum creatinine at diagnosis (3 mg/dl) and started dialysis 1 year after H1N1 infection while the other has normal serum creatinine at diagnosis (1 mg/dl) and was presented 1 year later due to unexplained graft dysfunction. Some authors believe that influenza virus is capable of activating immunologic mechanisms leading to allograft rejection . The activation of such immunological mechanisms is related to production of interleukin -1, TNF, IL-6 and IL-8 during viral replication . The time interval for incidence of H1N1 infection started from the second half of December till the second half of January. Other series documented the incidence between the second half of July up to September in Asia (Singapore)  while the largest number of confirmed cases of 2009 influenza A (H1N1) infection in North America occurred between March and July 2009 . H1N1 infection has many complications in RTR including respiratory, cardiac and CNS sequences. However, the most common prescribed complication among RTR in the literature is respiratory complications. In one of early reports described 2 RTR that developed hypoxic respiratory failure and necessitated noninvasive ventilation  while Singapore report described 2 mortalities among 10 cases of pneumonia . Other complications included H1N1 related myocarditis  or encephalitis . In our series, only respiratory complications were encountered as previously mentioned. Our cases have excellent prognosis, most probably due to early initiation of oseltamivir therapy, doubling the dose and extension of the duration of treatment. Also temporary reduction of anti-proliferative drug may help RTR to recover early. Three cases of pneumonia showed inconclusive CXR while CT chest revealed bilateral infiltrates and this signifies the importance of CT chest in diagnosis of pneumonia in immune-compromised patients see Figure 3. Serial CXR was carried out to follow up lung recovery in cases of H1N1 pneumonia and it was correlated with the clinical response (see Figure 4). The suspected number of RTR in December -2009 was 36 RTR which is double the number of suspected number in December-2010,this may be due to two facts; the first is vaccination with seasonal and novel H1N1 vaccine while the second is familiarity of criteria of diagnosis which reduced the number of suspected RTR. Figure 3: Radiological diagnosis of H1N1 pneumonia in a 40-year-old female renal transplant recipient who suffered from fever and dyspnea of 2 days duration. 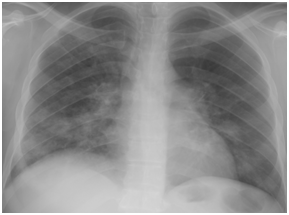 Figure 4A: Chest X-ray film on day two from suffering attack of low grade fever. 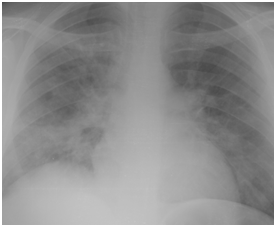 Figure 4B: Follow up Chest X-ray at time of diagnosing H1N1 pneumonia 6 days later. 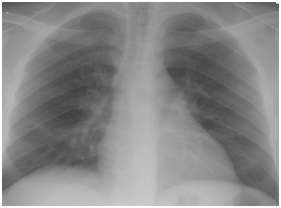 Figure 4C: Follow up Chest X-ray three days after starting oseltamivir therapy. 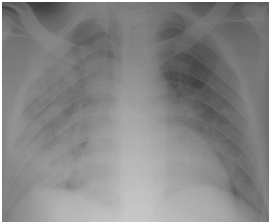 Figure 4D: Follow up chest X-ray after 7 days from starting H1N1 therapy. 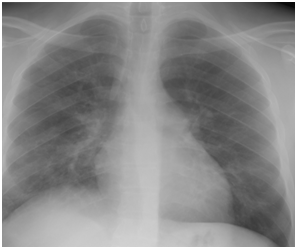 Figure 4E: Follow up Chest x-ray showing further improvement. 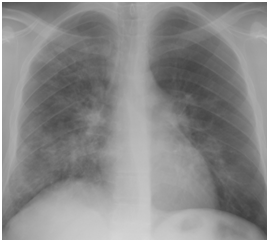 Figure 4F: Follow up chest X-ray 4 days after the end of H1N1 therapy. Figure 4: H1N1 radiological pictures in a diabetic 28-year-old transplant recipient. H1N1 infection in RTR can result in many morbidities and mortalities however early clinical suspicion and starting oseltamivir immediately upon clinical suspicion is to decrease the morbidity and mortality. Doubling the dose, extension of duration of treatment and reduction of immunosuppressive drugs (when indicated) are the keys for successful management of H1N1 infection in RTR. Diarrhea should be stressed upon diagnosis of H1N1; also admission of these RTR is critical because diarrhea can complicate RTR with severe decompensated metabolic acidosis and severe dehydration. Marvelous clinical response to oseltamivir therapy in established cases of pneumonia can be followed up radiologically by serial CXR while CT is important in diagnosis of suspected cases of pneumonia without conclusive CXR. The time incidence of H1N1 varies according to geographic distribution, however any RTR with flu symptoms in any time in the year should be suspected for H1N1 and treated immediately to obtain better prognosis. Rubin RH (1993) Infectious disease complications of renal transplantation. Kidney Int 44(1): 221-236. Writing Committee of the WHO Consultation on Clinical Aspects of Pandemic (H1N1) 2009 Influenza, Bautista E, Chotpitayasunondh T, Gao Z, Harper SA, et al. (2010) Clinical aspects of pandemic 2009 influenza A (H1N1 ) virus infection. N Engl J Med 362(18): 1708. Vilchez RA, McCurry K, Dauber J, Lacono A, Griffith B, et al. (2002) Influenza virus infection in adult solid organ transplant recipients. Am J Transplant 2(3): 287-291.
WHO (2009) CDC protocol of realtime RTPCR for influenza A (H1N1). Treanor JJ, Hayden FG, Vrooman PS, Barbarash R, Bettis R, et al. (2000) Efficacy and safety of the oral neuraminidase inhibitor oseltamivir in treating acute influenza: a randomized controlled trial. US Oral Neuraminidase Study Group. JAMA 283(8): 1016-1024. Resistance Centers for Disease Control and Prevention (2009) Oseltamivir-resistant novel influenza A (H1N1) virus infection in two immunosuppressed patients – Seattle, Washington, Morbid Mortal Wkly Rept/MMWR 58: 1-4. American Society of Transplantation (AST) (2009) Infectious Diseases Community of Practice / Transplant Infectious Disease Section of The Transplantation Society (TTS) Guidance On Novel Influenza A/H1N1* . Low CY, Kee T, Chan KP, Oon LL, Tan CK, et al. (2010) Pandemic H1N1 2009 infection in adult solid organ transplant recipient in Singapore. Transplantation 1016-1021. Keane WR, Helderman JH, Luby J, Gailiunas P, Hull AR, et al. (1978) Epidemic renal transplant rejection associated with influenza A/Victoria. Proc Clin Dial Transplant Forum 8: 232-236. Skoner DP, Gentile DA, Patel A, Doyle WJ (1999) Evidence of cytokine mediation of disease expression in adults experimentally infected with influenza A Virus. J Infect Dis 180(1): 10-14. Kumar A, Zarychanski R, Pinto R, Cook DJ, Marshall J, et al. (2009) Critically Ill Patients With 2009 Influenza A (H1N1) Infection in Canada. JAMA 302(17): 1872-1879. Watcharananan SP, Suwatanapongched T, Wacharawanichkul P, Chantratitaya W, Mavichak V, et al. (2010) Influenza H1N1 2009 pneumonia in kidney transplant recipients: characterestics and outcomes following high dose oseltamivir exposure. Transpl Infect Dis 12(2): 127-131. Baruteau AE, Boimond N, Ramful D (2010) Myocarditis associated with 2009 influenza A (H1N1) virus in children. Cardiol young 20 (3): 351-352. Choi SY, Jang SH, Kim JO, Ihm CH, Lee MS, et al. (2010) Novel seine-origin influenza A(H1N1) viral encephalitis .Yonsei Med J 51(2): 291-292.